We already brought to your notice vide our letters no.2072-dated November,5,2005 and letter no2086,dated February 13,2006, that the Punjab government has shifted the National Institute of Bio-Technology from Amritsar to Derabassi in the Patiala district and discriminative approach of the Punjab government towards Amritsar. With great regret, we may bring to your kind notice that the Punjab government has not given even single institute among the five institutes to be set up in Punjab. The proposed National Institutes of Law, Defense and Nano-technology are being established near Chandigarh, Mohali and Patiala. The central government has announced the setting up of Indian Institute of Sciences in Punjab and the Punjab government has selected Jalandhar for the establishment of this Institute, despite of the fact that Jalandhar and its 20-km surrounding area has already five central Institutes and industries, which include Renewable Institute, Rail Coach Factory, Science City, Radio and T.V. station. The Punjab government has also decided to recommend to the central government to accord the status of AIIMS to the medical institute at Jalandhar. On the other hand, Amritsar has not even a single institute of National level despite being the second largest city of Punjab and its world famous importance. From the above mentioned facts, it is very much clear that the Punjab government is pursuing the policy of discrimination against the holy city of Amritsar. It seems that the Punjab government does not consider your home town Amritsar as an integral part of Punjab and India. The Golden Temple of Amritsar is the fifth among the top 10 tourist destinations of the world while the Taj is eighth, as per the survey conducted by the BBC. Amritsar receives more than 50-lakh domestic and foreign tourists annually. 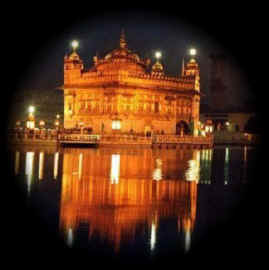 Amritsar is also historically and religiously more important city of Punjab. Population wise Amritsar is the second largest city of Punjab. In this way Amritsar deserve more than any other city of the state. Therefore, we earnestly request you to direct the Punjab government to set up the Indian Institute of Sciences and National Institute of Bio-technology at Amritsar. The Punjab government must give due share to Amritsar in the allocation of central Institutes to be set up in Punjab. With thanks. From the above mentioned facts, it is very much clear that the Punjab government is pursuing the policy of discrimination against the holy city of Amritsar. It seems that the Punjab government does not consider Amritsar, home town of prime minister Dr. Manmohan Singh as an integral part of Punjab and India. The Golden Temple of Amritsar is the fifth among the top 10 tourist destinations of the world while the Taj is eighth, as per the survey conducted by the BBC. Amritsar receives more than 50-lakh domestic and foreign tourists annually. Amritsar is also historically and religiously more important city of Punjab. Population wise Amritsar is the second largest city of Punjab. In this way Amritsar deserve more than any other city of the state. Dr. Charanjit Singh Gumtala Ph.D. I know how you are felling.. But I am happy that atleast GOI is opening up IISc in Jal and other institutes in Punjab. Do you think opening up IISc in Atq or Jld will make any difference for people of Punjab. We Punjabi's are looking for decent place to return .. and we don't care where it is unless it is in Punjab. So please don't start opposing it. I think it is more logical to open IISc in Jld or some where in central Punjab due to various reasons. I am not in favour of any place .. so please let it open as soon as possible as it is difficult to return once u r settled in west with your own labs and students.. Politicians have reminded the Prime Minister, Dr Manmohan Singh, of the promises he had made with regard to the development of Amritsar, where he will be arriving in the next 48 hours to flag off the inaugural trip of the bus that will ply between Amritsar and Nankana Sahib on a regular basis. During his last visit to Amritsar in 2004, Dr Manmohan Singh, who belongs to Amritsar, had made certain announcements for the development of that region. Besides the beautification of the areas around the Golden Temple complex, the Prime Minister had given an assurance on the setting up of an international institute of Biotechnology in Amritsar. He had also promised to set up a special economic zone there besides four-laning the Jalandhar-Amritsar-Wagah road. There was also a promise to upgrade Raja Sansi airport to international standards. The Jalandhar-Amritsar-Wagah road has not been four-laned yet. The economic zone has also not been set up. Even the previous BJP-led government at the Centre had failed to do anything worthwhile as far as the widening of this busy road is concerned. The then Surface Transport Minister had performed the “bhumi-pujan” ceremony shortly before the Lok Sabha elections. The present government at the Centre has also done nothing in this regard during the past 22 months. The MP from Amritsar, Mr Navjot Singh Sidhu, today wrote a detailed open letter to the Prime Minister reminding him the promises made by him with regard to the development of the Amritsar region. Mr Sidhu said that the road project was allotted to a Hyderabad-based company a year ago and it was asked to complete it in 30 months. But practically no work had started on the widening of the road. Mr Sidhu said the economic zone project had also not gone beyond the proposal stage. “ Precious little had been accomplished on the ground with regard to the zone”, said Mr Sidhu. The Prime Minister had also agreed to set up an international institute of biotechnology in Amritsar. However, nothing in this regard was happening Amritsar. The Punjab Government, which was setting up a biotechnology park at Dera Bassi in collaboration with a private party, is now saying that the biotechnology institute would also be set up at Dera Bassi. Mr Sidhu said the starting of the bus service from Amritsar to Nankana Sahib would be brought to naught unless a visa office was established in Amritsar. The Pakistan authorities should have been asked to set up such an office there, he added. “ Amritsar has weathered the storm of terrorism and the need of the hour is to support the city to restore it to its pristine glory”, he stated in the letter to the Prime Minister. “ Good intentions die unless they are executed”, he added. Raja Sansi airport in Amritsar was no more than a poor cousin of other international airports in the country. While big proposals had been made to upgrade the airports in Delhi,Mumbai and Bangalore, there was no such proposal for Amritsar airport. Only a few crores of rupees had been given by the Union Government to add certain facilities at the airport. “ It has not got enough infrastructure to take even the load of the existing air traffic to Amritsar from various parts of the world”, said Dr Daljit Singh Cheema, secretary of the Shiromani Akali Dal. Mr Cheema said the Prime Minister should ask the authorities concerned why the promises made by him had not been fulfilled. There is no doubt that as compared to other cities amritsar is not geting the opportunies for development. Setting up of some institute gives opportuity for development as well as employment. So these type of this should be set up in all the major cities and asr being the major city it should get this. ANOUNCED BY THE PRIMEMINISTER FOR AMRITSAR. SO DOCILE THAT THE RAJA CAN TAKE HIM FOR A RIDE. RAJAS GRUDGE IS THAT WE HAVE CHOSEN MR SIDHU FROM AMRITSAR. Amritsar, my city and the city of our Prime Minister, Dr Manmohan Singh, stands vandalised. It is crying for attention as its very character of a holy city, of glorious past and heritage is being destroyed by insensitive administration and unconcerned citizens. Everyday, thousands of devotees visit the holy city to pay obeisance at Harmandir Sahib but the administration had turned a blind eye towards providing facilities to them. Amritsar’s Mall Road has been converted into a road of malls with no parking space. Lahore has preserved its prestigious boulevard Mall Road but we have converted it into a commercial road, destroying its royal look and the basic character. The ancient city is rich in heritage and known for architectural marvels. Many old buildings had the wall paintings in the traditional art form of frescos but no effort was made to save them and gradually decay has set in. Many historical buildings have disappeared while others are being pulled down. The latest casualty is the first-ever educational institute of the city, the Saragarhi School, which is over 150 years old. The building is being demolished for a parking lot. What to talk about preserving, our Municipal Corporation is so callous that it has even built a toilet on the last of the 12 gates built by Maharaja Ranjit Singh around Ram Bagh. There is no traffic plan and management. Almost all main roads are encroached upon and even the surroundings of the Railway Station have not been spared. We can see scores of buses and other vehicles parked in no parking zone on the highly congested GT Road. On the Railway Road one can see almost 20ft of road encroached by cycle sellers. The traffic police has turned a blind eye to the traffic menace. With increasing traffic on the roads, the city is being choked by dividers all over the city. No where else in the world dividers are constructed in the middle of the road, as they have simply marked the road to divide it into two parts. It was said that the modern bus stand would smoothen traffic flow on the GT Road, but a parallel bus stand operates in the presence of the traffic police, which is nothing but a bunch of dummies. Same goes on Queens Road, Lawrence Road, Hukam Singh Road, Ram Bagh, and Katra Jaimal Singh. In fact, Amritsar has become encroachers’ paradise. Footpaths are completely encroached upon. The Municipal Corporation has destroyed the skyline by letting advertisers put up hoardings all over the town. Pavements have been made into strategic hoarding sites caring a damn for the law, even the High Court orders are violated with impunity. Walls of private and government buildings in the holy city have been defaced by ugly political and obscene posters, which have been prohibited by the High Court. Vulgar and obnoxious posters and graffiti can be seen all over the city. The latest feature in the city is of land scams by politicians and affluent persons, which are highlighted by the media every day. The industrial tag of this city is almost vanishing. Today most of the industries have been converted into marriage palaces or into small colonies. Our city was known for it gardens but these are the things of the past. Today, the famous Company Bagh is almost barren with very little green area. Instead of planting trees, we are installing steel structures for hoardings. The corporation is demolishing traffic islands and installing horrendous looking lights, spending lakhs of rupees. They have also failed in garbage management, as open trolleys litter garbage on city roads. God save us.